Google just pushed out a brand new version of Chrome Beta for Android with Material Design as the most up-front new feature that you will likely first notice. But behind the scenes, something potentially even bigger has happened, at least for those of us with multiple accounts. In the latest beta, build 37.0.2062.39, Google has simplified the sign-in process for Google services. Now, when you are signed into Chrome, you won’t need to sign in again to any of Google’s services, like Gmail or Maps or Search on the web. 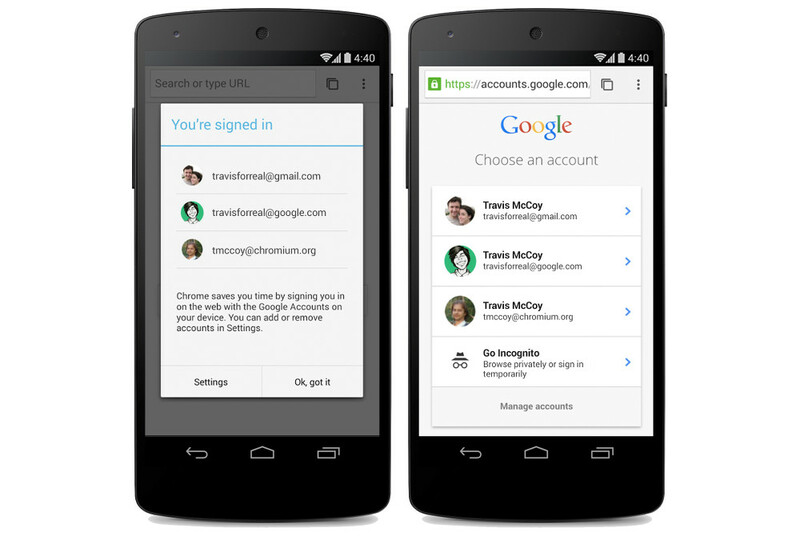 To take things to the next level, Google has made this simplified sign-in work if you have multiple accounts as well. So if you have more than one Google account that you regularly visit, as long as you have it attached to your phone, Chrome will use it to automatically sign you into Google’s web services. 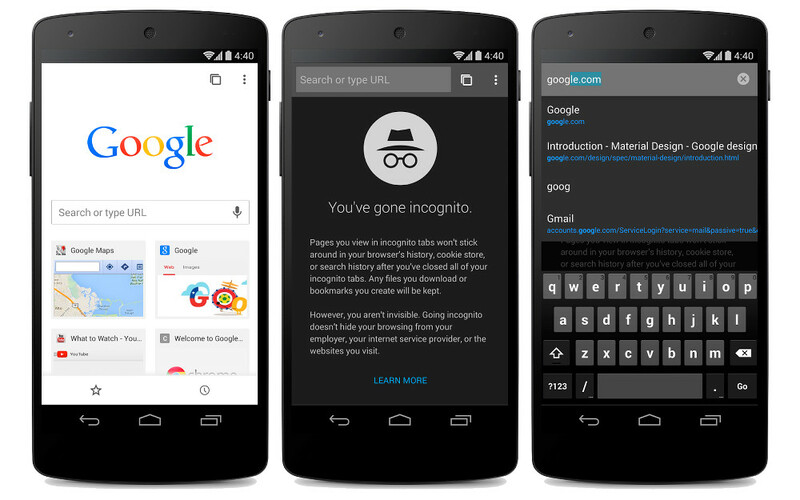 The update, as I just mentioned, also introduces Material Design styling, which means a new look to the incognito tab, searching, bookmarks, etc. If you aren’t seeing the update through Google Play, you can download it here.